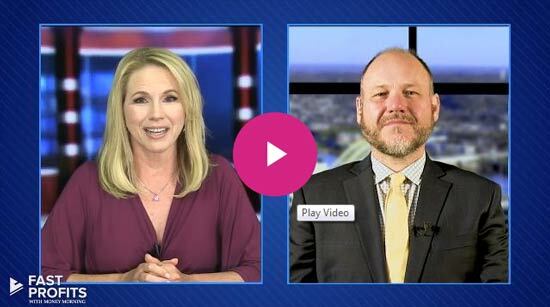 At Money Morning, we're big proponents of dividend reinvestment. It's a strategy that will help you amass tremendous wealth over time. Our Chief Investment Strategist Keith Fitz-Gerald showed investors just how valuable dividend reinvestment is to your portfolio using a single example and a stunning graphic to illustrate his point. Reinvesting dividends is the practice of buying additional shares of a stock using the dividends themselves to pay for your purchase. It results in long-term compounding, and that's key to building a fortune. Let's use Altria Group Inc. (NYSE: MO), a high-yield dividend stock, as an example. 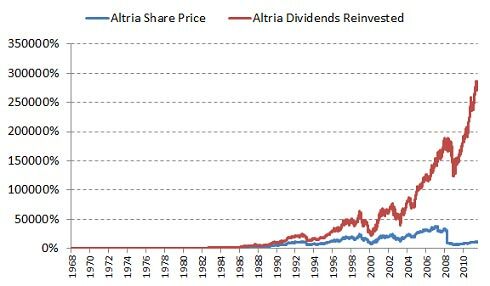 Last September, Altria boosted its dividend for the 48th time in the last 45 years. Shares yield 4.11%. While that's fabulous for any investor, some have made out like bandits. Depending on when they originally purchased shares, they've had the chance to receive more in dividends than they originally paid for the stock itself. Which means, practically speaking, they own the stock for "free." Over time, the difference between simple appreciation and the effects of continual dividend reinvestment is jaw-dropping. Had in you invested in MO stock on Jan. 2, 1970, and left that money alone until the close of trading on Sept. 2, 2014, your return would be 431,800%, adjusted for dividends and stock splits. Many companies even offer dividend reinvestment plans (DRIPs) as a means for investors to purchase shares over time. Investors can start with a small number of shares and, instead of receiving dividends as cash, reinvest continually in the company's stock. This achieves two things. 1) It puts the plan on autopilot, and 2) it helps you maximize the effectiveness of dollar-cost averaging over time. You spread your purchases out and never have to lift a finger to do so. The DRIP strategy isn't a get-rich-quick tactic. But for investors with an eye toward the long term, its power is unrivaled in transforming modest investments into mega-returns down the road. While dividend reinvestment is a good way to accumulate more shares of a company, at times it may be more advantageous to take cash – primarily when a stock is selling at a high relative price. Buy low, sell high – the old mantra. I move out of DRIP plans when prices are high, and back in when they dip.